A significant amount of electrical leakage and impulse breakdown is present in electrical cable which is employed for high voltage transmissions. Objective of this paper is to improve the transmission capacity by reducing the electrical leakage. Traditionally treated sheep wool, wood fibre, hemp are used for making of the insulation. This project aim is to change the composition of insulation material like mica, poly-prophelyne in a defined proposition. Testing of insulation cables are done at normal and abnormal conditions and the results will be discussed. The strength of the insulation is varied by varying the composition materials. Electrical leakage and dielectric constant of the cable is discussed. It commercially increases the power transfer capacity and reduces the amount of cost for electricity. Anand Karuppannan, Gomathi P. "Analysis and Testing of Underground Insulation for High Voltage Transmission Applications." 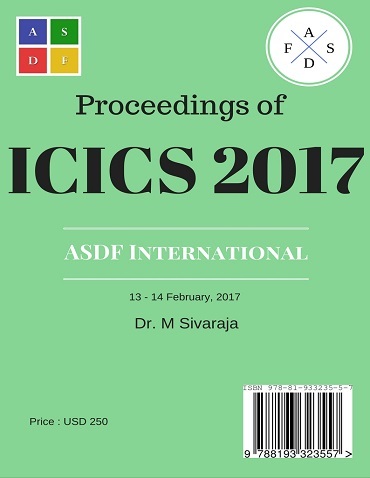 International Conference on Intelligent Computing and Systems (2017): 50. Print.